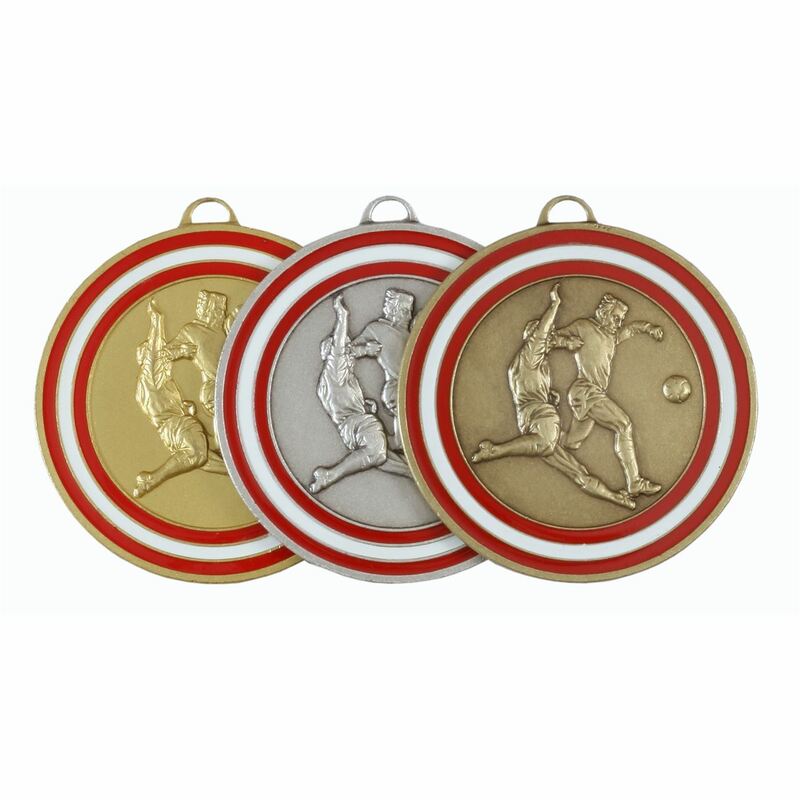 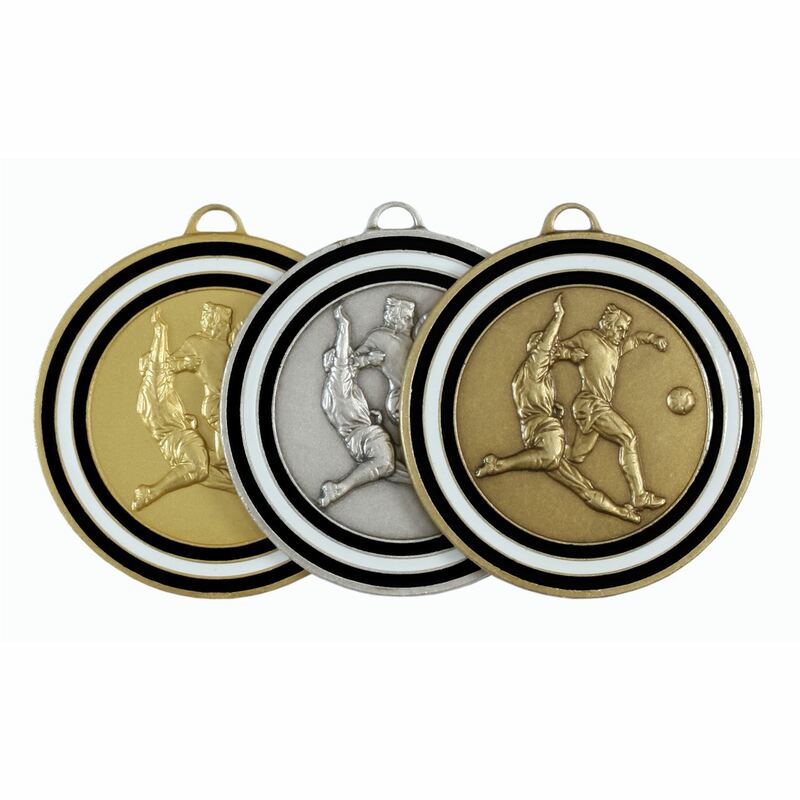 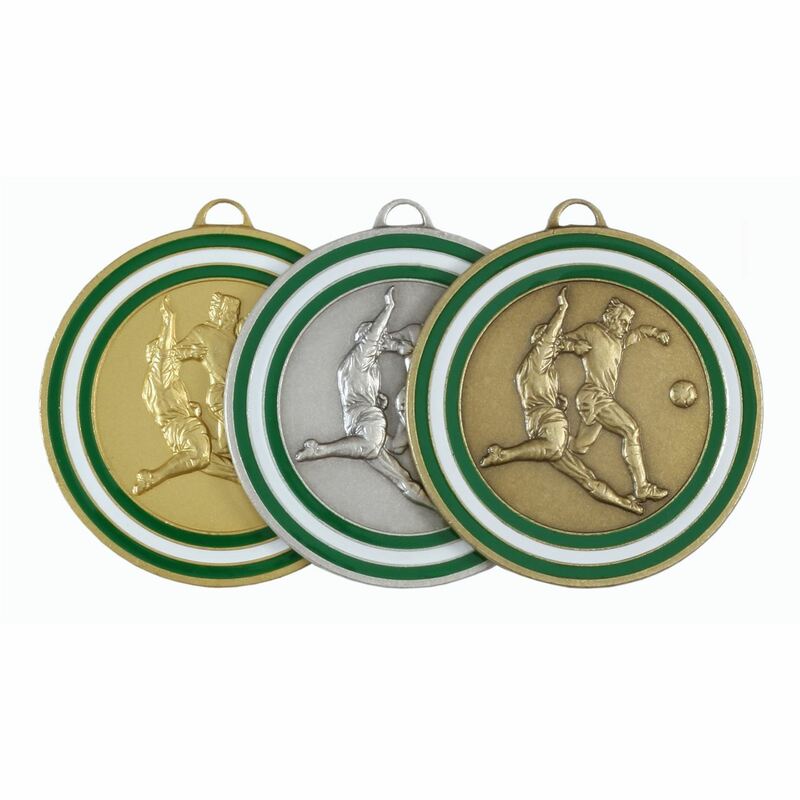 The Coloured Enamelled Football Medal has a detailed embossing of two action footballers. 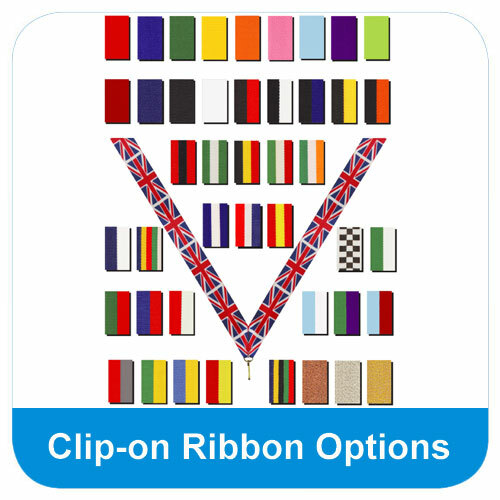 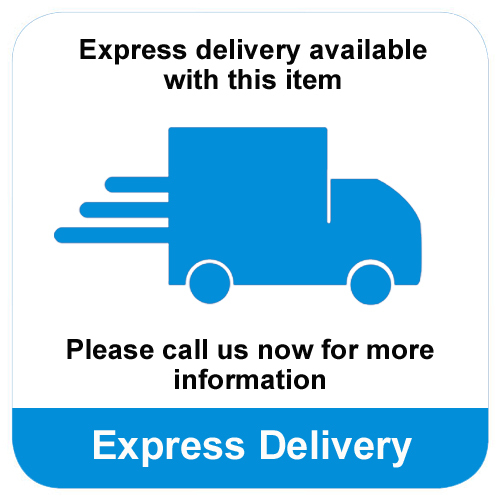 You have the option of four different enamel borders: Blue, red, green or black. 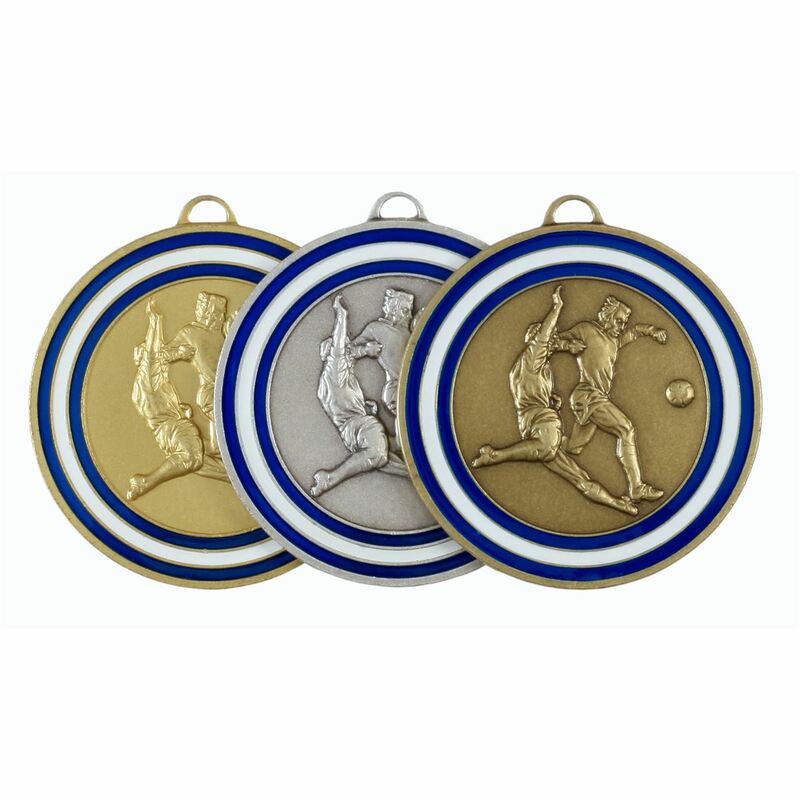 The enamel border is glazed in stripes of your chosen colour and a white stripe in the middle. 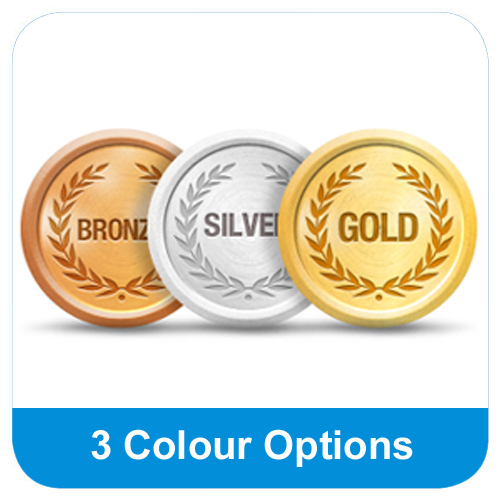 In a choice of 4 colours: blue, red, green and black. 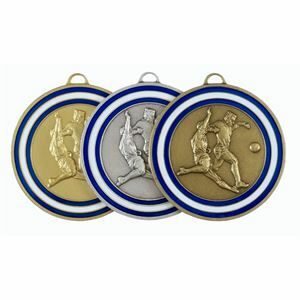 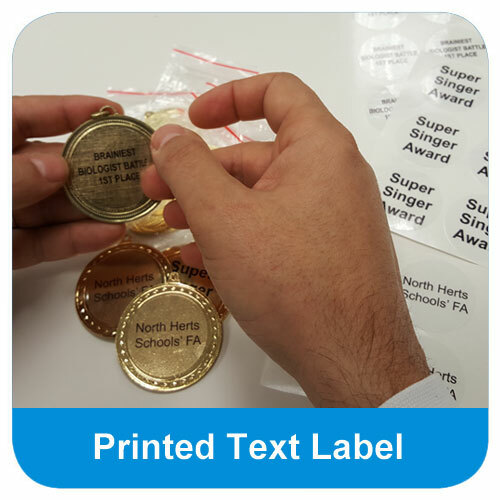 The Coloured Enamelled Football Medal is embossed with two action footballers and has a coloured border of your choice.